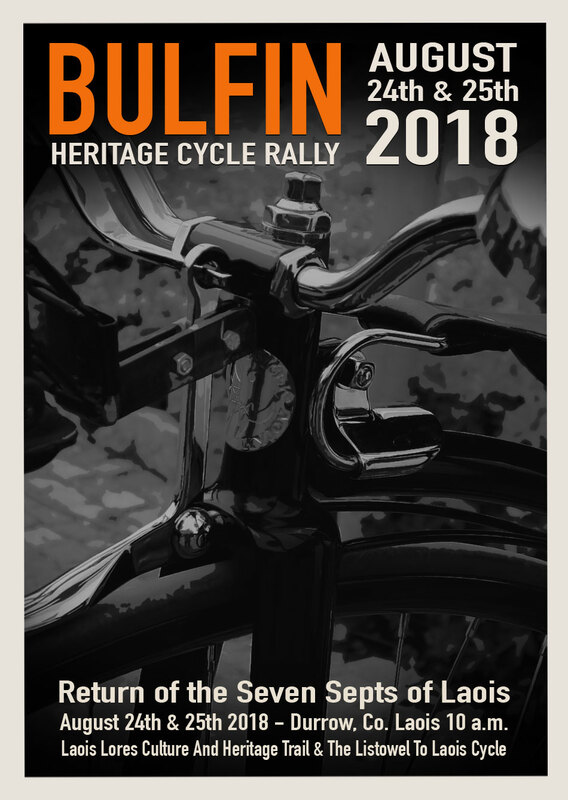 The Bulfin Heritage Cycle 2018. One of the many heritage sites we will visit along the route of this year’s Bulfin Heritage Cycle Rally, is the wonderful Irish Fly Fishing & Game Shooting Museum, located in Attanagh, Co. Laois. In fact the museum will be our first stop, having departed Castle Durrow, and we hope to arrive there at 11:45 am; where a medieval style fish and game breakfast awaits, to fuel us on our way. Also on the schedule is a heritage talk with museum curator, Mr. Walter Phelan. Walter founded the museum in 1986, and has continuously added to his amazing collection of artefacts. These include guns, tackles and rods, as used by the affluent society of yore, who hunted and fished for pleasure. All roads lead to Attanagh’s Irish Fly-Fishing and Game Shooting Museum, on Day One of this year’s Bulfin Heritage Cycle Rally. Also on display are the more basic contraptions of hunting, such as a hollowed out cow horn, used to carry fishing bait, by ordinary people; who no doubt hunted and fished to feed themselves and their families. And the conflict of rights between the land owners, and those that illegally hunted their estates, is vividly illustrated by one of the museum’s more macabre features – the man trap! Used to foil poachers in the 1700’s, these metal teethed snares would break a man’s leg once triggered, not to mention the infliction of severe and deep lacerations. To fall foul of these barbarous devices, would most likely lead to a slow and agonising death for the victims, even if they managed to free themselves from their clutches. Thankfully man traps were outlawed in 1829. Attanagh’s Irish Fly-Fishing and Game Shooting Museum – Fish and Game Breakfast & Heritage Talk on Day One of this year’s Bulfin Heritage Cycle Rally. Once we’ve shuddered past the man traps, the tour will continue with visits to the Gamekeeper’s Room from the 1800’s, a Gunsmith’s Workshop, Fishing and Game Shooting Room, the Trophy Room, the Clay Pigeon Room, the Boat House, the Library and the Hatching Room. Our visit to the Irish Fly Fishing & Game Shooting Museum, takes place on the first day of this year’s Bulfin Heritage Cycle Rally. Tickets are now available for our event, with the options of buying for the Entire Event (August 24th & 25th), Day One (August 24th), or Day Two (August 25th). Please note: Tickets are limited, so purchase early to avoid disappointment. ← Calling All Cyclists! – Bring The Seven Septs of Laois Home.